(757) 296-6605 GET STARTED NOW! No, this is not another article about what occurred in 2016 for you or your business. This is your friendly reminder that reviews on your business truly help promote the validity of your services. Highly important for all business to have credibility, reviews back up the quality of your products and services. The modern day shopper goes online and researches before purchasing, so reviews from real customers are essential to gaining more. Word of mouth advertising, your reviews are both feedback on your business as well as powerful reasons to join. Think of your shopping habits, how many reviews do you read before you are ready to buy or decide not to buy? Let me state the obvious here, positive reviews are huge for opt-ins and purchases, but what happens when not all or most of the reviews are negative. These 0, 1, 2, even 3-star reviews are negative and often harmful to your sales. Is any press good press? Maybe, not in all cases, not all businesses can handle bad feedback (some never recover). It is better to get ahead of any negative feedback as you may even salvage a customer from it. Reputation Management seems like a full-time job (that is because it is) so always encourage your satisfied customer to leave feedback on their experience. Negative reviews, though unfortunate, should be few and far between. Too many negative experiences with your business can slow down and even stop new clients utilizing your products/services. Try to follow up on any negative reviews either public or privately, this shows you care about your business’s reputation. Go2Karate Directory Listings allow you hide (not delete) any negative feedback on your program in the instance it may occur. This allows you to show positive reviews on your Martial Arts School listing; however, be aware the star rating will still affect your rating average. 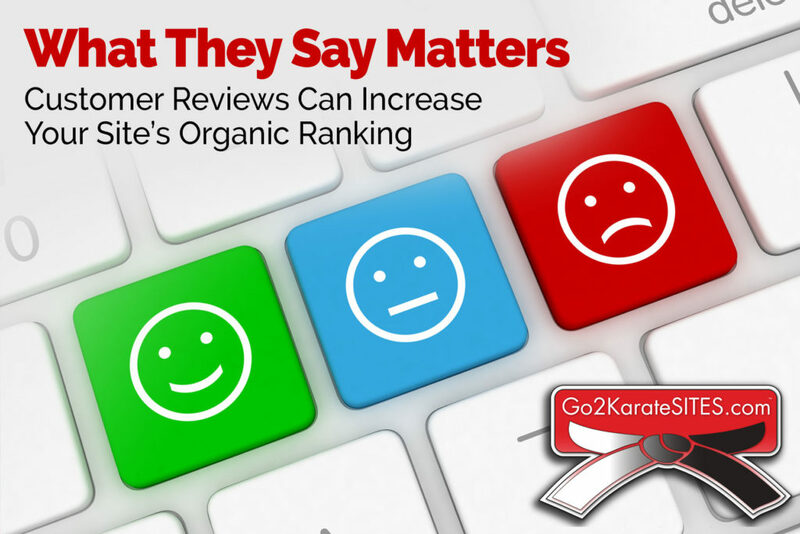 Go2Karate’s feedback also gets crawled by search engines and will show when your business is displayed (searched for). For more information or to get started today with Go2Karate, we encourage you to get your school listed here. Previous Post: Website & Marketing: Are You Your Own Worst Enemy? G2K Sites – Very helpful and very professional people! 8th Degree Black belt in Songahm Taekwondo (ATA), with 6 schools in Florida (Martial Arts System- MAS). At MAS we offer the best martial classes through strong physical training, self defense techniques, sparring of all types according to distance including weapon training. We have created our Tiger program that starts with children aged 2 years old to 7 years old when they move to the regular Junior program. Structure, organization, and great classes are our main strength. 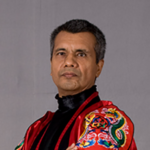 I oversee over 300 schools in Latin America, consult with 500 instructors, give seminar in 6 Countries every year and one big Panam Congress and Championship. We are starting our exposure with Go2Karate.com our experience with Rev Marketing 2 U has been very positive, I have my website with them and did a full year of advertising. Very helpful and very professional people! Our sites can get you the new student leads for your Martial Arts School! We’ll Have GOOGLE Help You Get More Members! Go2Karate Presents Marketing Martial Arts Webinar with Google! Proudly powered by Go2KarateSites.com | © 2019 Go2KarateSites All Rights Reserved. See what a G2K web site can do for your Martial Arts school today!